Connect your new unibody MacBook or MacBook Pro to an analog VGA display with this handy adapter! If you have an analog display and a new MacBook, MacBook Pro, MacBook Air, Mac Pro, iMac, or Mac Mini, dont worry! 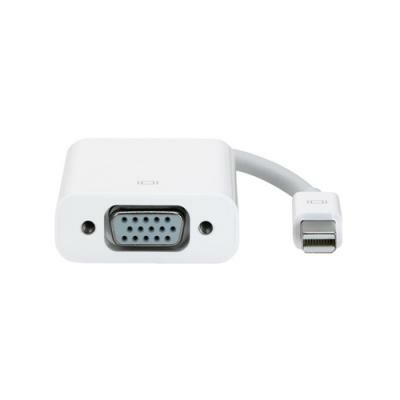 This convenient self-powered adapter converts digital Mini-DisplayPort video into analog VGA video for use with VGA monitors, such as CRTs, projectors, and LCDs.